. banana bread breakfast bake . - . running with spoons . « . link love 11/2 . This Looks SOOOOO gooodddd! I did try a breakfast bake, but it wasnt as good as I hoped it would be. I am more of a crunchy person, so I would need something on top! Love the idea of banana bread though! Have a wonderful monday lovely! This makes me feel all sorts of happy inside. I ♥ banana bread to no end, so to have it for breakfast is a dream come true. I love using black bananas for either banana muffins or in my overnight oats, because then I get to use a little less honey to sweeten them! Haha, I just said the same thing. 😉 It’s tragic, really, that she can never experience the wonder that is _PB + banana. I really like that spoon. ….weird? Anyway, I’m all about bananas and am eating banana filled breakfast right now! Not weird at all! Spoons are one of the first things I notice as well, and I seriously need to do some more thrifting to build up my collection. I was obsessed with the pumpkin version! I can’t wait to try this banana one. Yum!! YUM! I love all of your breakfast bake recipes! 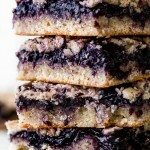 Yumm.. the perfect warm oatmeal bake for this fall weather! And ofcourse, any oatmeal is 1000x better with bananas! You are banana crazy woman, 3 a day! I don’t think I could run without bananas. 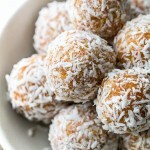 They can be eaten so close to running without causing a digestive issue and totally fuel the muscles the right way. Delicious bake! I used to hate bananas as a kid but now I adore them. Especially the ones in your photo they seem to be just the right ripeness. I was the same way! Hated them as a kid, and I have no idea why! And thank you for reminding me that it’s been WAY too long since I’ve caramelized bananas. Definitely time to change that! Oh yes, great combo. I actually think the quartett of banana, almond butter, chocolate AND honey should be patented. We get the license and rich. This looks like the perfect way to use up those bananas! The only problem is I would have yo make two because the man would be all up in my business once he saw it! 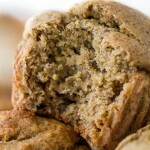 Such an awesome use of overripe bananas – specially with that gooey almond butter! 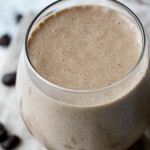 I average about one a day – and if I get a stash on sale, I just freeze cut up ones (something YOU mentioned awhile back) and use the slices in smoothies. Ohhhhhh baby this looks amazing! Banana bread is definitely a comfort for me, but it’s nice to know that there are other ways you can use your ‘nanners instead of the plain boring route. Also, BREAKFAST FOR DAYS. I love it when I can just heat something up and be good to go. Win. 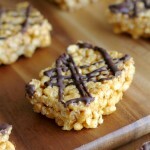 Great recipe and photos love! This looks so good!! My boyfriend has converted me to a huge banana lover. 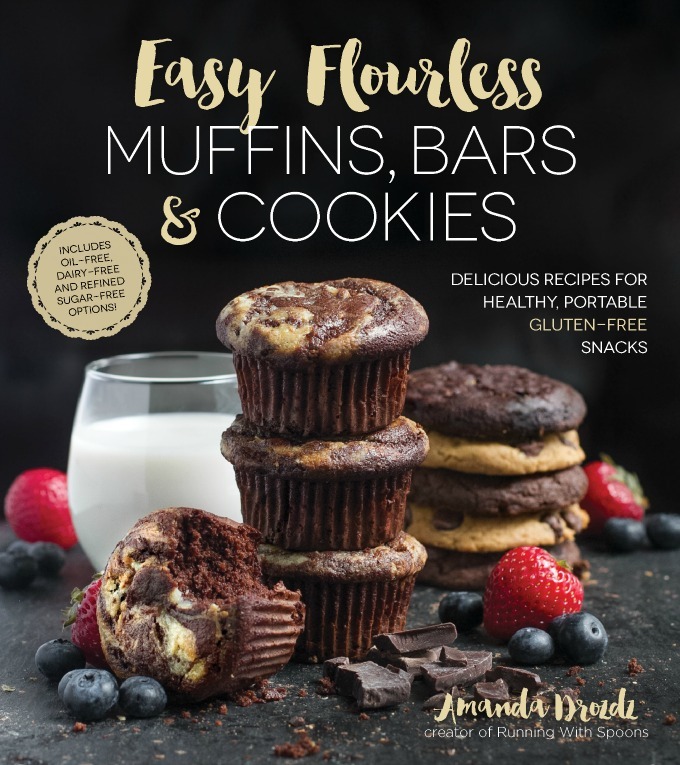 I make almost all my recipes with them now! Also, I had this problem last week with a bunch of bananas last week haha I probably shouldn’t have used them in my protein pancakes because they were all black…..But I didn’t want them going to waste!! It really helps if you freeze them! I normally do, but I didn’t manage to catch these in time and they taste a little weird when they’re frozen overripe. oooo this looks toasty and warm! Love it! yum yum yummmmm! Seeing this makes me want to run straight to the kitchen (with spoons 😉 ). I’ve unintentionally cut down on my banana consumption, mainly because I would never eat them before they browned, but seeing this recipe makes me want to take the risk haha. This looks really good and thanks for sharing. It looks like the perfect comforting food for right now. It’s been pretty brutal out weather wise, so anything warm has my heart. How is it that a banana bread bake was not part of your arsenal all this while!? I must say I’m ecstatic the situation is beautifully rectified! And seeing that I have ridden the oatmeal train of its tracks and have been switching it up with the most random breakfasts; this will be welcomed 🙂 . Hmm I should have sent some of the monkeys over there from here..one of the dominant reasons why its near impossible to get around to baking up a loaf of banana bread! This looks delicious! I’m with you on the whole “banana’s mashing themselves”, never a good way to eat a banana! lol, and that’s a great way to put it! Oooh bananas, how I love thee! I probably eat one a day and any that are going too ripe I peel and pop in the freezer to make banana soft serve – so tasty! Oh and I am team AB all the way – PB just does not compare! Both in taste and in nutrients! Just the smell of banana bread makes my heart swell with happiness, so you can only imagine what eating it does to me- obis I am so into this recipe! Over-ripe bananas almost always get peeled and frozen for future smoothies. I was down to my last frozen banana and realised that none of my bananas were spotty enough- which meant I proceeded to wrap them all in newspaper with the hopes that they’d blacken asap….it worked with a few- crisis averted! 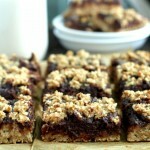 Oatmeal breakfast bakes are one of my fav fall/winter ‘comfort’ meals! I wonder when Sam is going to make this for me. I ate a bowl of oatmeal the other morning and thought of you guys. Yum! This looks scrumptious! I love banana bread in all shapes and forms. haha. Over ripe bananas are the best! overripe bananas usually get frozen for smoothies, but if I find myself in -30 temperatures this winter this is probably a better option. I probably eat one a day? Maybe two sometimes? I want a banana. I thought I ate a lot of bananas, but I only eat 1-2 a day. They are delicious, convenient, and so versatile. 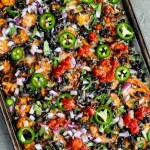 This breakfast bake looks delicious! I don’t like eating bananas after they’ve started going brown. I like them best when there is still a little bit of green on top. After they’ve started turning, I freeze them for green smoothies. I also sometimes put a frozen one in the food processor and make it like ice cream 🙂 I’m not sure why they’ve gotten such a bad rap either, I eat between one and two a day! My heart is singing! This is so lovely! These looks so good! I said these because every mug recipe at the end had me drooling. That said, I fo not metabolize bananas well and always gain weight eating too many. I have to be careful. Some people’s bodies go crazy on stretched and I’m one of them. I seriously love these little breakfast bakes! Now that the weather is cooler in the mornings, I can definitely see myself making more of these on mornings that I don’t go to the gym! Although I think the chocolate chip one is still my favorite…. bananas… we have the same thinking. LOVE them. and i think my bites might want to join your bake for an EPIC banana breakfast, yes? This looks really good. Wish I would have read your blog first since I had some rip bananas. I ended up making banana bread. Next time! I am going to save this recipe for sure. Ooh very nice Amanda! I never know what to make with ripe bananas other than smoothies and breads – this breakfast bake sounds incredible! The sliced bananas mixed in just can’t be beat … this calls for breakfast three times a day! Pinned! My sleepy self wishes this could show up on my desk at work…banana bread sounds so good right now! This recipe though sounds amaaazing! 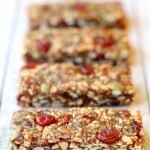 I need to make it, as well as your other breakfast bakes! The newsletter came a day late. I don’t blame you;-) just wanted to let you know, maybe you have a solution! All that nut butter snarking. Don’t you feel bad making many children’s best breakfast buddy cry 😉 ?? Poor little peanuts were unfortunate enough for destiny deciding to make them a more potential killer than almonds. Okay, long story short: Team Almond butter BUT I still like peanuts, too. One of my favourite ways to use ripe bananas is still your banana bread mug cake. Hm … I need to have one of those again soon. This is exactly the kind of thing that I love to make multiples of on Sundays so that I already have breakfasts made for the week. I love that this tastes like banana bread.. it’s like dessert for breakfast! im convinced bananas and dates make just about anything better. I love baking with bananas. 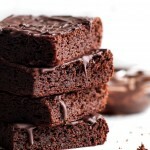 They add sweetness and that soft texture that is so hard to replicate. Thanks for sharing this awesome breakfast idea! And as a fellow banana lover as well, I NEED to make this stat. The problem is I usually eat my bananas before they even have a chance to get speckley… I need to remember to seriously load up on them next time I’m at the store! Yay for team nut butter – no discrimination there 😀 . I have the same banana situation going on in my pantry right now. This totally needs to get on my breakfast menu! Truth! 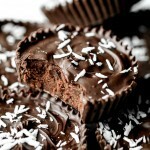 Some of my best recipes have actually been the result of the most random experimentation! My brother loves banana bread, and it’s one of the few things he can eat with his Crohns that has fruit in it. So I always make it for him. Sacrificing delicious baked goods. I’m a nice sister. Your recipe looks so good though. I might have to make it myself. ……just when I thought I didn’t really care for bananas outside of bread (with butter). That is an amazing spoon. Cerealsly. I spy a brand new, yet antique, spoon. Perhaps the same one you were gifted as a blogiversary gift from Mama Spoon? You know how much I love bananas so I won’t count the ways today. Suffice to say, I adore them, and I get excited when they start to turn because it means I get to bake them. My go is usually muffins though so I can share with the Hubby. This looks ah-mazing. I love breakfast bakes and I am so freaking excited to try this one! I love how your recipes always have ingredients that “normal” people have on hand! 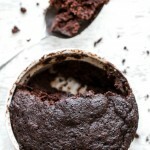 I am a sucker for a good banana bread, and luckily it’s easy to make gluten free or paleo 🙂 Looks super delicious and so comforting! Since I get super sick from eggs, I use mashed banana as my binder for EVERYTHING. I COULD use applesauce, but the flavor and mushiness that a black banana gives is un-replaceable! Like gooey banana pancakes…oh lord help me…. I can’t afford to eat nanners more than once a week (starving college student here) and they MUST be black for me to eat ’em. I don’t do none of that bitter yellow stuff. And ALMOND BUTTER ALL THE WAY! Especially straight up raw, nor roasted. Oh my, I;m salivating! Thank god it’s lunch time and that’s exactly what I packed! This looks delicious! I’m always looking for new breakfast ideas so I can’t wait to give this one a try! I’m team…equal opportunist. I’ll eat both nut butters, but usually only buy almond butter these days. This looks so easy and SO good, I must try. I am a banana bread enthusiast you might say so I was thrilled to happen across your post. I will definitely be trying this – what a great way to start your day off! Hey Amanda – great blog! 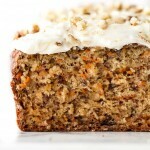 Love this banana-bread for breakfast idea. Nothing like a little banana bread to brighten up the day. Thanks for sharing the recipe!